Drivers shopping in the used truck segment of the automotive market tend to have a pretty good idea of what they’re looking for. Depending on whether their driving needs demand a tough and rugged all-wheel drive pickup or a light-duty truck for small jobs and daily transportation, the driver will usually be able to narrow down their list of contenders from the outset. If you don’t foresee yourself hauling a boat or trailer, for instance, a heavy-duty beast like the Ram 2500 probably won’t make your list. But if you want a truck that can live a double life as a capable cargo hauler and a comfortable people mover, then a pickup like the Honda Ridgeline will suit you perfectly. No matter what you’re looking for in a pre-owned truck, Brannon Honda can help you find it. We have a great selection of makes and models in our pre-owned inventory for you to explore and test drive, and if you don’t see a certain vehicle you’re interested in, simply submit our vehicle finder form and let us know; we will contact you when a truck that meets your criteria arrives at our dealership. Our website allows you to search using a variety of criteria including make and model, year, gas mileage, and price range, and there’s a section devoted to budget-friendly options priced under $10K. Brannon’s sales team is committed to helping you find the truck that meets all your criteria—and your budget. Affordability is often the deciding factor when you’re shopping for a used truck. We at Brannon Honda understand that, and we will work with you to find a model that will slip seamlessly into your budget without getting you in over your head financially. We do that by offering a lineup of special offers on models in our pre-owned stock as well as working with our trusted lenders to secure a car loan with agreeable rates and terms. You can even save time by applying for financing online, no matter what your credit history. If you have a current vehicle to trade in, use our online tool to get a quick estimate of what your trade is worth, so you’ll have a better idea of how much that will help toward the price of the truck you plan to purchase. Why Buy Your Used Truck from Brannon Honda? 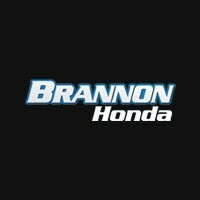 Brannon Honda takes seriously our commitment to providing both excellent customer service and high-quality vehicles. We are the dealership of choice of drivers from Birmingham, Vestavia Hills, Helena, and beyond, and once you’ve seen for yourself what we have to offer, you’ll understand why. When you’re ready to explore our inventory in person, visit us at 300 Gadsden Highway in Birmingham. We look forward to assisting you!